Since 1996, YG has been mainly communicated with artists and contents of the company. However, YG tries to create culture and lifestyle of people all around the world not just providing music content. 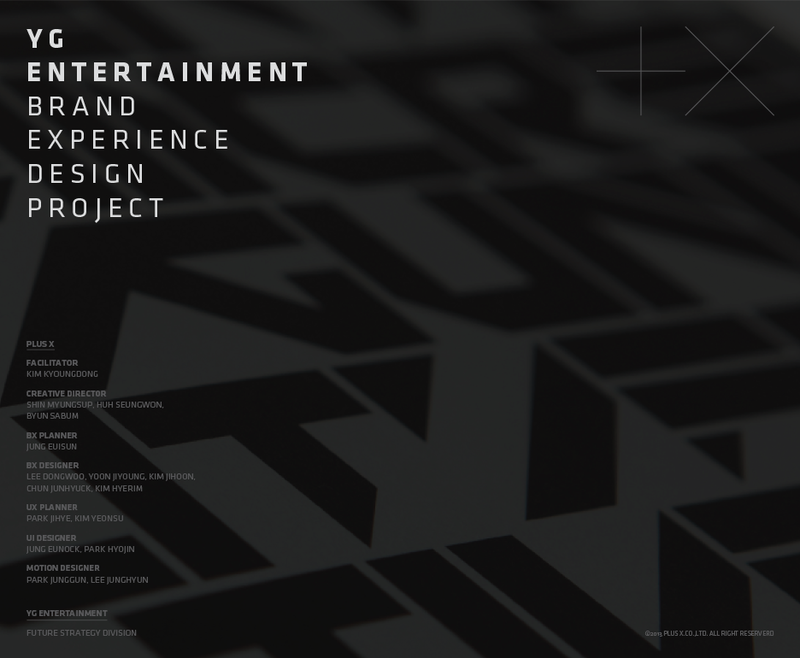 In order to achieve this goal, YG wanted to redefine brand identity system which can expand their business flexibly. Brand Renewal Direction From the research and Interviews, we learned that YG already has the positive brand images such as ‘Leading’, ‘Creative’, and ‘Extraordinary’. So we decided that YG doesn’t need a ‘Change’ which means totally new makeover, but ‘Evloution’ which means progress by redesigning identity elements and brand system.